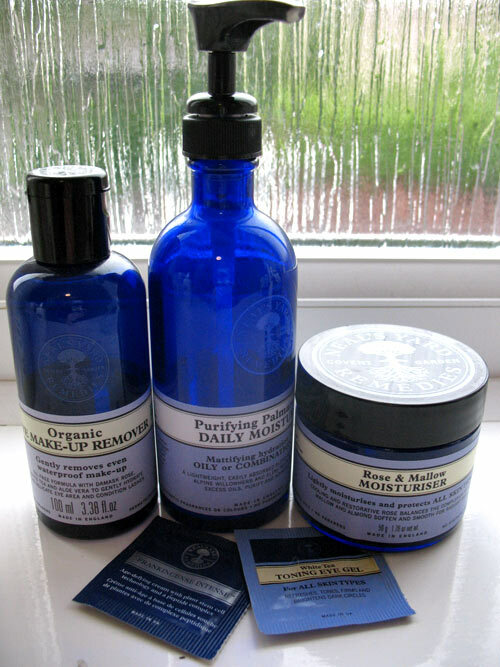 Neal’s Yard Remedies are one of my favourite organic skincare brands. I love the quality of their products and everything what they stand for. 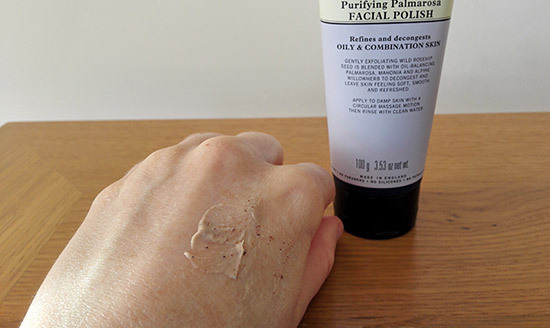 Purifying Palmarosa Facial Polish* is just one of their products I am currently using and I am so happy I discovered it. I can easily say it’s one of the best natural face exfoliators I ever tried. Like the other products from Neal’s Yard range, this facial polish is certified organic by the Soil Association, contains no mineral oils, no parabens, no synthetic fragrances or colours and no phthalates. It’s made with 84% organic ingredients and it’s suitable for vegans. I actually bought it when sales was on and I paid 30% less for it. 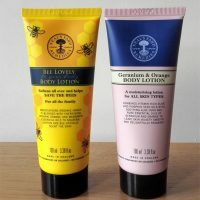 It normally costs £18 for 100g but you could probably get it cheaper, just look out for any online offers you may find. I really love this facial exfoliator. It’s really gentle which made me think in the beginning that it wouldn’t do much to my skin, but I was wrong! It leaves my skin feeling unbelievably soft and smooth, it really does work. Palmarosa Facial Polish* is suitable for oily & combination skin and it’s the wild rosehip seed which gently exfoliates while oil-balancing palmarosa, mahonia and alpine willowherb decongest. I am not sure how to describe its scent but it’s not unpleasant, it’s a gentle, really natural smell. I highly recommend this exfoliator, it’s definitely my favourite so far and I would be looking to repurchase in the future. Which facial exfoliator are you currently using? Have you tried Purifying Palmarosa Facial Polish from Neal’s Yard before? * This post contains affiliate links (if you purchase something after you click on a link, I will get a small commission which will help me maintain this website). I am not surprised that this leaves the skin feeling purified and soft. Palmarosa is known for its antiseptic and hydrating properties. On the other hand, I would be concerned about the rosehip seeds. Ground plant material tends to end up with sharp edges, which can actually damage pores. Att any rate, they won’t contribute to water pollution like the synthetic, wax-like particles found in so many peeling products today. I actually don’t have any issues with rosehip seeds, they don’t feel rough on the skin at all. 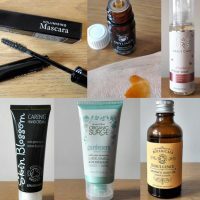 Some other facial exfoliators I tried in the past felt much rougher. Yes, much better for the environment than plastic particles!